Innovative, easy to actuate drop-arm feature. 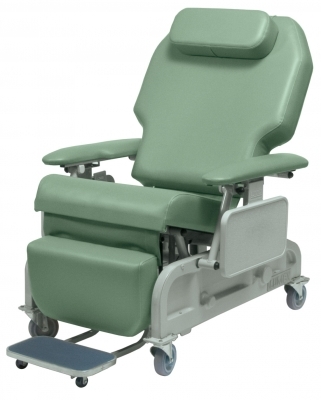 Self-storing drop-arms are simple for the caregiver to activate and enables a safer, easier lateral transfer for the resident and caregiver. 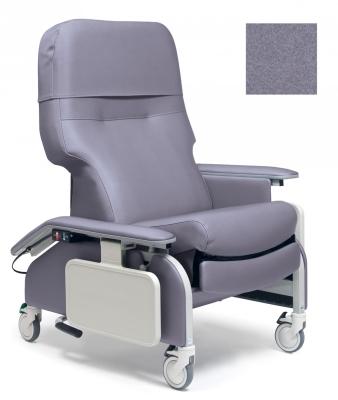 The wide, contoured seat and back, along with an integrated footrest, provide an enhanced level of comfort. Built-in arm pads in the back give improved support for the arms.